Are you struggling with debt and tired of being harassed by bill collectors? Are you worried about foreclosure, repossession, lawsuits or garnishment? The law firm of James C. Warr & Associates can assert your rights as a debtor and help you get a fresh start in life through Chapter 7 or Chapter 13 bankruptcy. As soon as we file your case with the bankruptcy court, all harassing phone calls, collection efforts and legal action must stop. Just like that. Southfield attorney James Warr has helped thousands of clients in Oakland County and Metro Detroit find true relief through bankruptcy. He will explain the process in plain English and patiently answer your questions. He will help you take full advantage of bankruptcy to get out of debt, protect your assets from creditors and reset your family finances. We help military veterans throughout Michigan obtain VA disability benefits for service-related injuries, illnesses or mental health impairments. Mr. Warr has successfully represented Vietnam vets, Gulf War vets and those deployed more recently in Iraq and Afghanistan. James Warr handles all facets of estate law and probate, from drafting a simple will to administration of a complex estate. He also represents individuals in will contests and other probate disputes. Don't trust your case to a bankruptcy "mill" or a jack-of-all-trades lawyer. 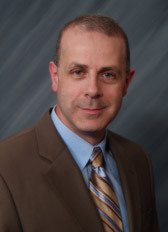 James Warr has focused experience with Chapter 7 and 13 bankruptcies. He personally prepares your petition and shepherds you through the process. Call 1-877-462-9277 or contact us online to arrange a free consultation, including evening or weekend appointments. We are a debt relief agency that assists people in filing for bankruptcy relief under the Bankruptcy Code.